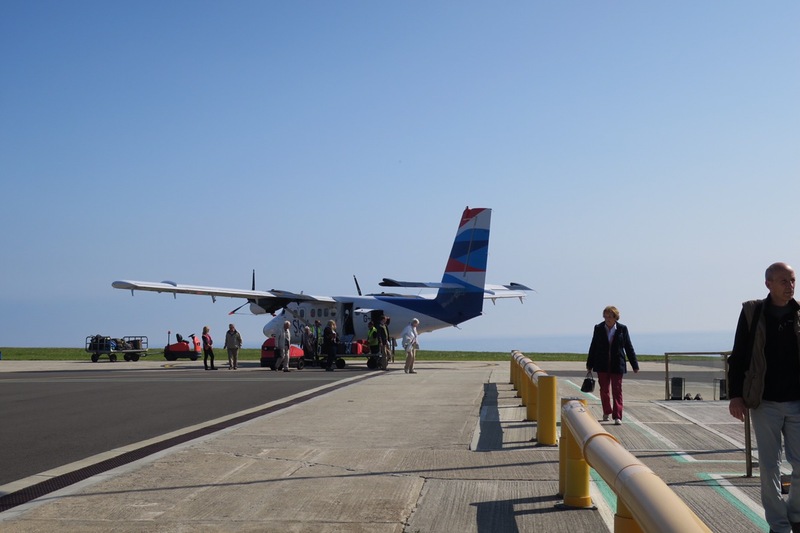 The flight was an added bonus, a little 17 seater with stunning views and a delightful chit chat with the lady I sat next to. 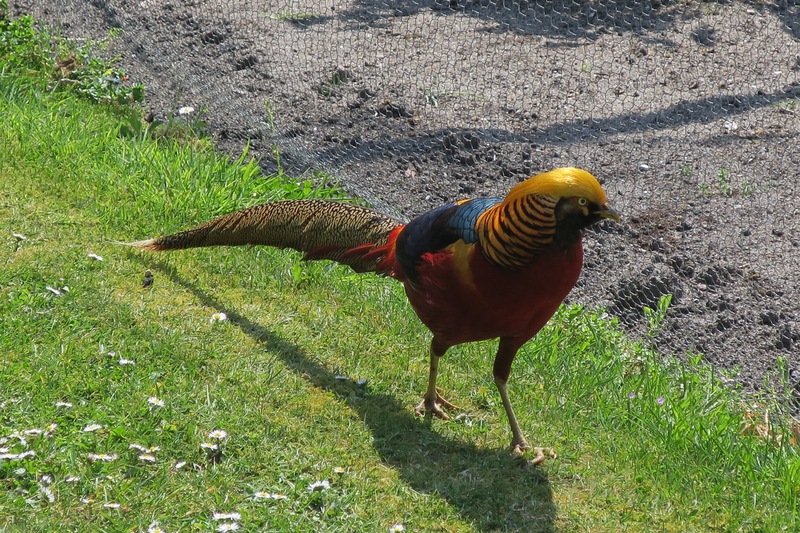 She was a relatively recent widow who had met another widower on the trip and proceeded to tell me ‘I think I’ve pulled!’. This was no Club Med 18-30s…this was an OAP coach holiday, whatever next?! So I had finally arrived! 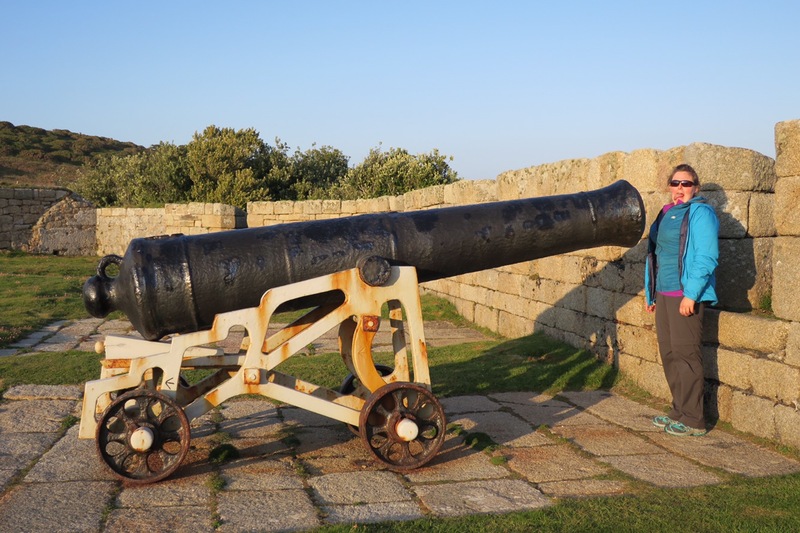 After pitching up at The Garrison and having dinner with a local ale (Ales of Scilly – Three Sheets) I headed down to the coast to see the historic defenses. Wouldn’t want to get in the way of this beast! 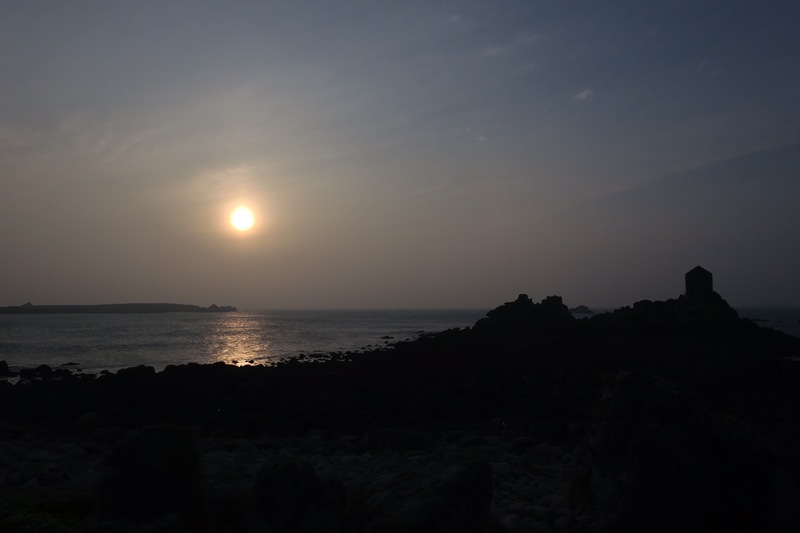 After speaking to Mum and Dad, Scilly produced a stonking sunset and on the way back to the tent I happened upon my local which was in the dungeon of the castle hotel – it was a great pub – and I sampled another Ale of Scilly this time; Dungeon Brew. The next morning it was off to Tresco to explore. The top half of the island with its 2 castles – one was Cromwell’s the other belonged to King Charles I – was stunning, and felt quite wild. 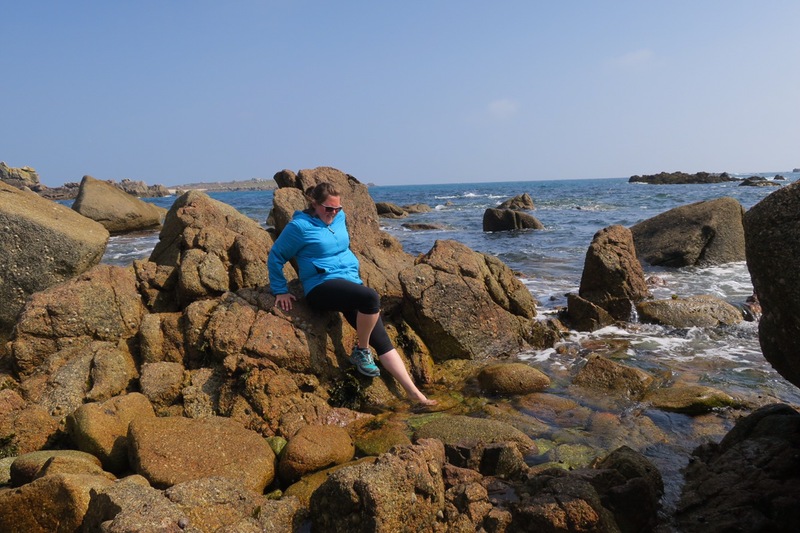 The sea continuously crashed against the rock but the coastline was abundant with seabirds, butterflies and wildflowers – a lovely place for some contemplation. 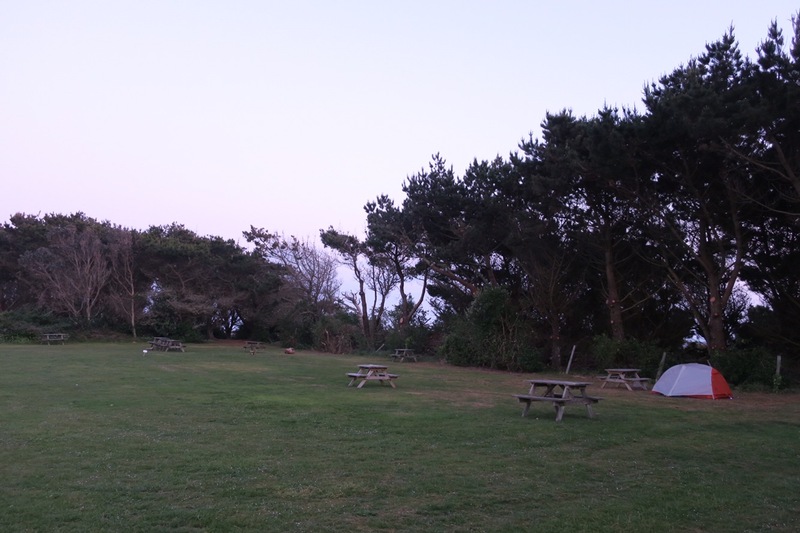 I walked onwards to the capital of Tresco; New Grimsby (via the lovely Ruin Beach Cafe) which was so polished it felt like a model town – a very nice twee one though. 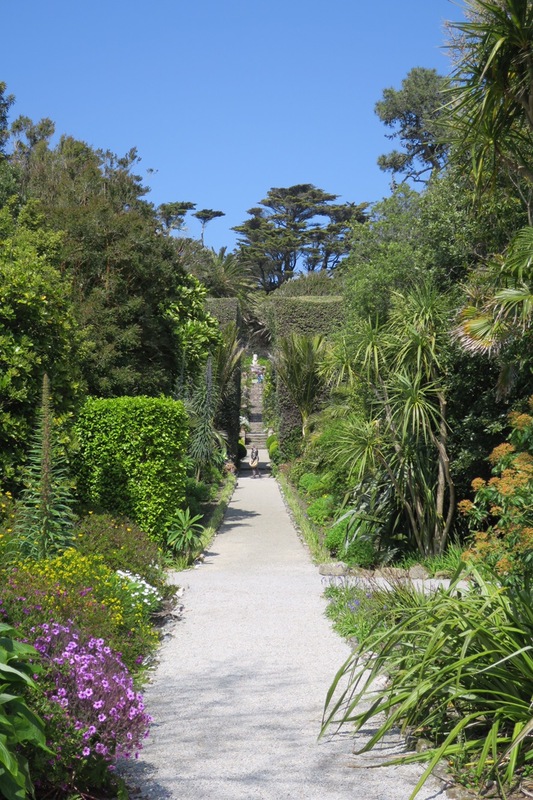 I then wandered through the Abbey Gardens which were full of very exotic plants and flowers, were nicely laid out and had long and enticing views round each corner. On returning to St Mary’s I took a look in the nice gift shops, galleries and imbibed another local ale in the Mermaid Inn (which features quite heavily in the book by the former Scilly policeman!). Once again after dinner there was another fine sunset – a slightly more muted affair compared to the previous night but delightful nonetheless. 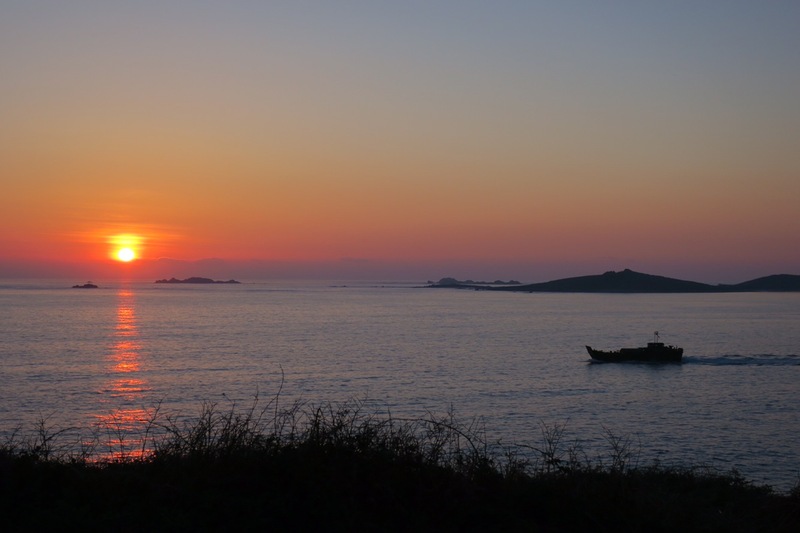 Thursday morning I packed up and headed to the Isles of Scilly museum and learnt about the ancient history of this archipelago, some of the large scale shipwrecks that have occurred on the rocks around the islands, gigs, smuggling and much much more. 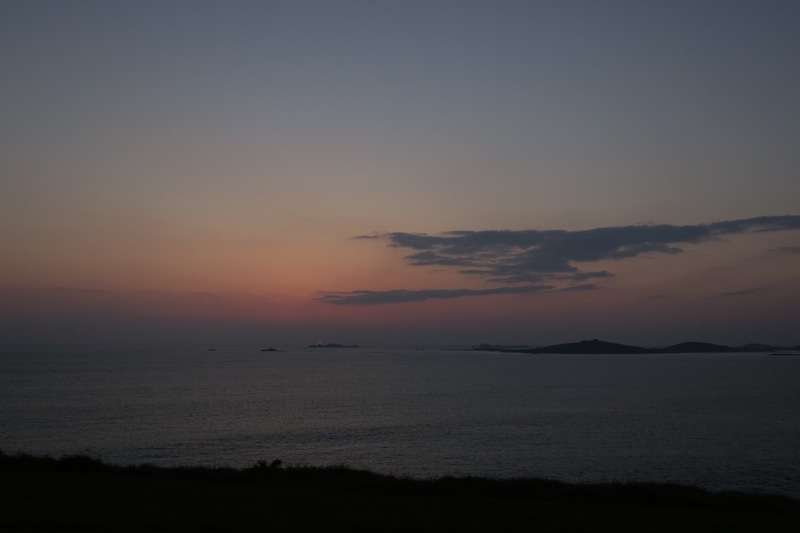 Then it was on to yet another island – St Agnes (and Gugh which is connected by a sand bar at low tide) – where I was to spend my final afternoon and evening on the Scillies. I did a lap of the island(s) and made sure to dip my toe in the sea off the most south westerly point of the most south westerly inhabited island of the UK, I guess this unofficially marks the start of my journey to Unst (where I plan to dip my toe off the most north easterly point of the most north easterly inhabited island of the UK). Snappy journey titles on the back of a postcard please! Following a nice hoppy beverage at the local, and a little bit of rockhopping out along an isthmus to Burnt Island I reclined in my tent to read and watch another lovely sunset. This morning the Scillonian was back in full working order however on an amended schedule due to an impending storm coming from the Atlantic so it was an early start and we set off for Penzance at 10:30. It turns out my worries of a rough crossing were well placed. It was grim. The boat pitched and rolled and slammed into the rough seas (gale force 8 was forecast by the met office) and quite quickly everyone turned a shade of green. I was totally consumed by the seasickness for the full 3 hours but fortunately managed to keep my breakfast down. Once we were safely docked into the harbour the staff showed their signs of relief at arriving claiming ‘that was up there’ in the stakes for one of the roughest crossings and would score 15 out of 10! * Edit: I forgot to finish the story of the camping gas which I surrendered at the airport. Well Graham the check-in guy took it home and looked after it and then delivered it back to me at Penzance backpackers, how nice was that?! Thanks Graham! 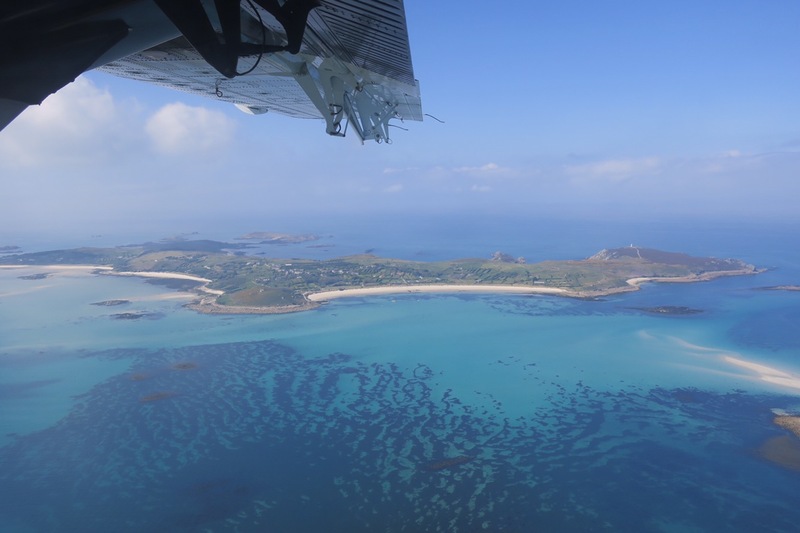 So my advice would be go to the Scillies they’re fantastic but take the plane!